We are manufacture SS Ampoule Boxes and SS Vial Boxes in SS 304 OR SS 316, As per client's requirement. We are the leading Manufacturer, trader and service-provider of Stainless Steel Holder. We are one of the leading manufacturers and suppliers of Holders. These Holders are made from best grade stainless steel. The Holders are very compact in size. These are very elegant and unmatched in quality. We have gained rich industry experience in this domain in offering a wide array of Surgical Stainless Steel Box to our valued clients at reasonable rates. Being a market leader of this domain, we provide the premium quality of SS Chapati Box. 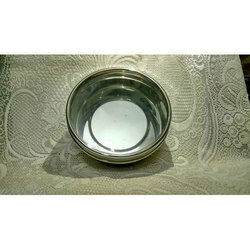 The best quality of stainless steel is used for designing of these SS chapati boxes. 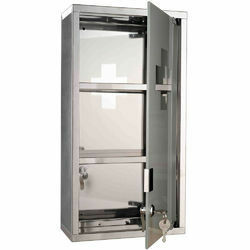 Stainless Steel Locker Box, Cash/Jewellery Storage Container. Can hold cash, jewellery and get in a bank locker easily. You can lock the box and handle to lift easily. Kindly contact with your requirements. - There are currently approximately 17 million containers of different sizes in the world. We are offering Metal Donation Box to our clients. We are offering SS Mail Box to our client.